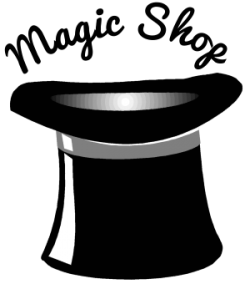 Books, Manuals, and videos from Kent Cummins are available at the Magic Shop. The Magic of Change, New Revised Edition, Magic With a Message and The Top 12 Ways to Achieve Organizational Goals Using Entertainment are just a few of the many publications available. When will more articles be available? Additional articles are posted occasionally. If you are looking for a specific article or subject, please contact Kent. How do I retrieve articles? For now, you can access the sample article in PDF format by simply clicking the article title above that you are interested in. As the library grows, articles will be filed by topic. PDF, or Portable Document Format, is a standard published by Adobe and used widely on the Internet for distributing documents. PDF documents can be read using the free Acrobat Reader software, which can be downloaded from the Adobe website here. How come I can’t read the articles? If you can’t read the articles, you probably need to install the Adobe Acrobat Reader, available for free from Adobe’s website. Different versions of the Acrobat Reader and different browsers interpret .pdf documents a little differently, too. If clicking on the article directly doesn’t open the document for you, try right-clicking and saving the article to your hard drive. Remember where you save it to, and you should be able to open the .pdf file with Acrobat Reader. How much does each article cost? The online articles are free! You can also purchase printed books and other products from the Magic Shop.